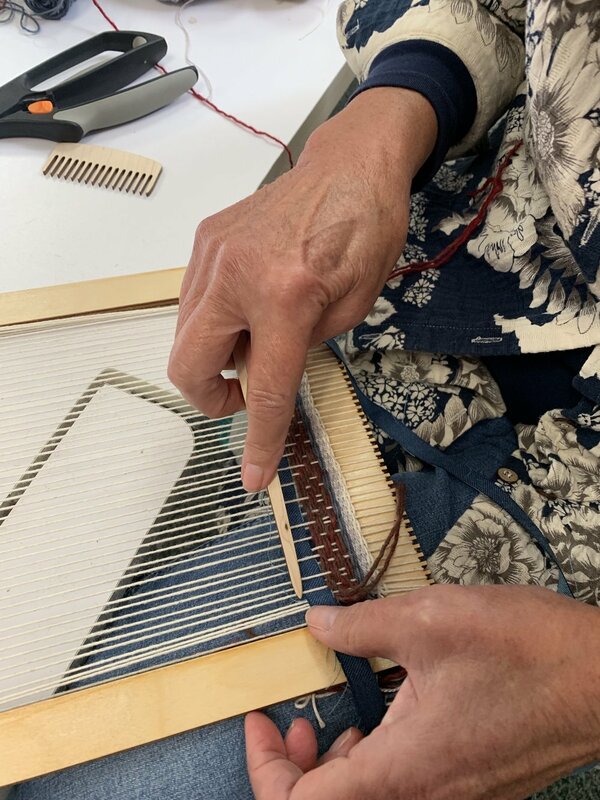 We will explore weaving with traditional and non-traditional textiles. 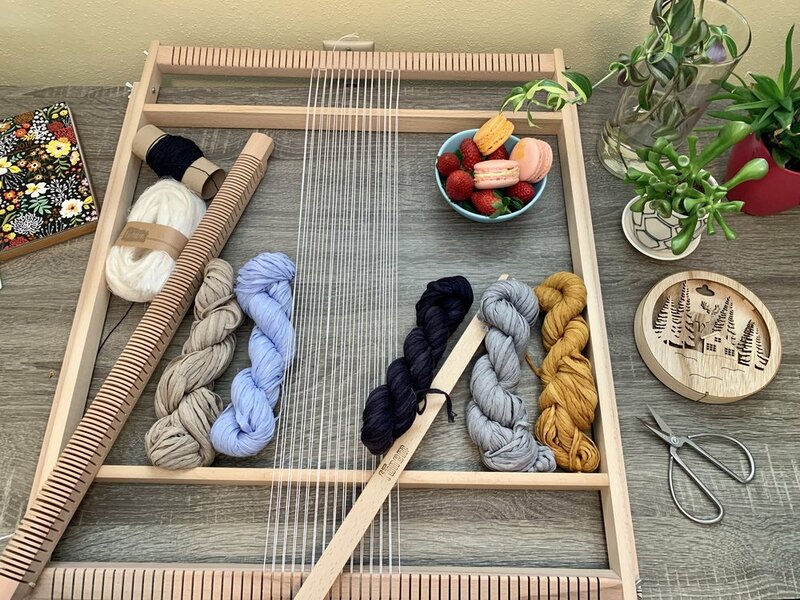 We will explore textures beyond the use of yarn, color play and most importantly, the meditative aspect of this timeless art. 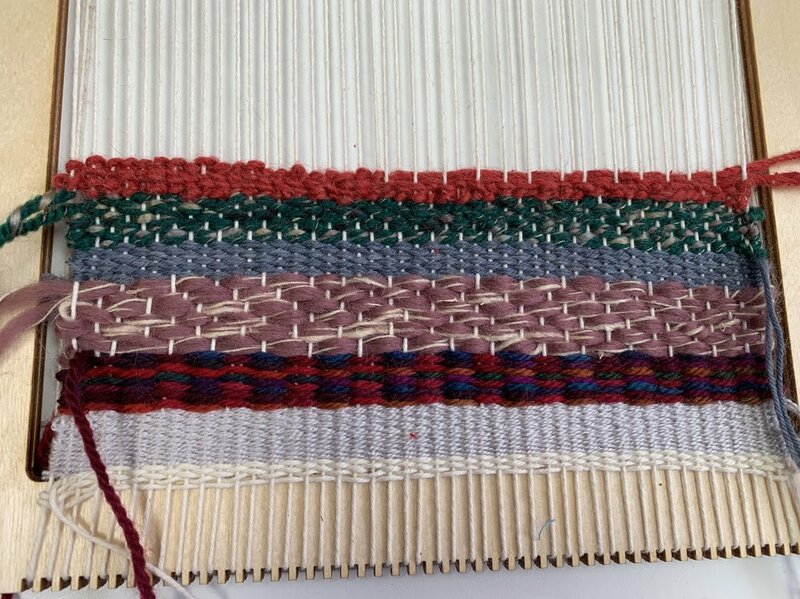 You will be rewarded with a fabric swatch completed entirely by you, using a loom and your hands. All supplies will be provided for your convenience. 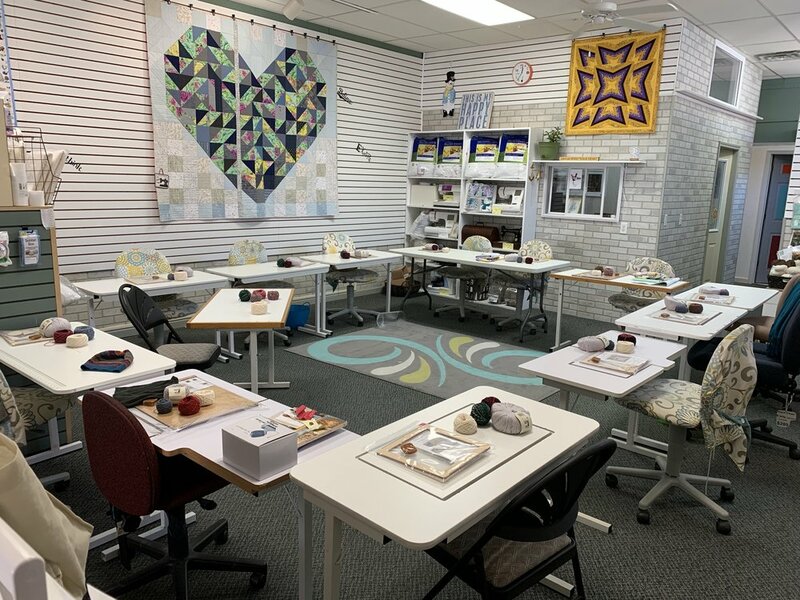 Photo credit and work by Lindsay F., Midwest Fiber Arts Trails 2018 workshop participant, completed on the placemat loom by Purl & Loop. I like to work with a variety of looms to try new techniques and fibers.